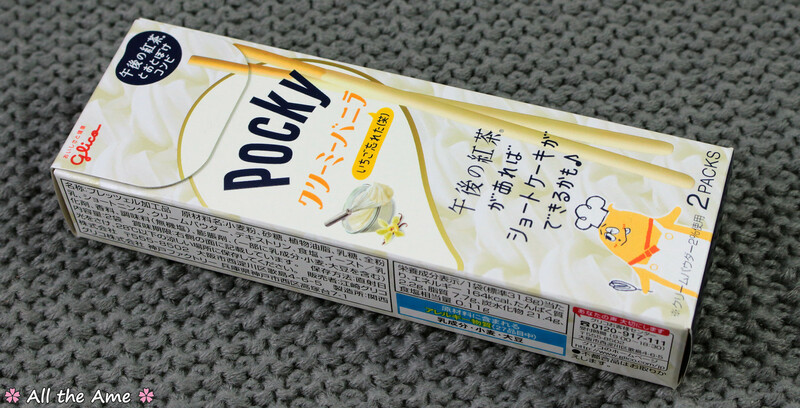 First up we have a new luxury Pocky flavour; creamy vanilla. The sticks are 18cm long, a little longer than usual. The flavour is a bit off at first, with a not so nice hint of burnt plastic. 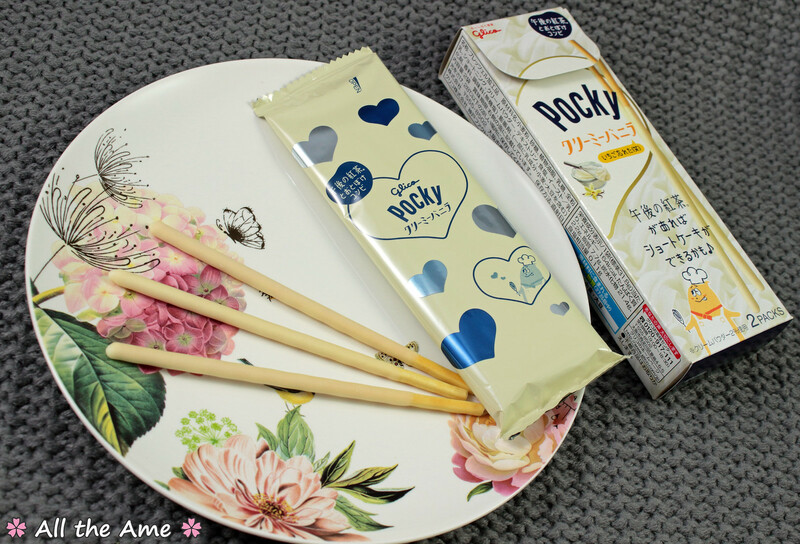 Is it just me or have more and more Pocky releases had this unpleasant undertone? A couple of sticks in you stop noticing it and start tasting the vanilla flavour, which is very good. Nice and natural with only a little sweetness, like a good home made vanilla frosting. It’s a pity you have to get past the unpleasant taste first. I’d give these a 7/10. The vanilla flavour was nice once you got to it, but the odd plastic taste is off putting. I’d eat them again but I’m not sure I’d go out of my way to buy them again. 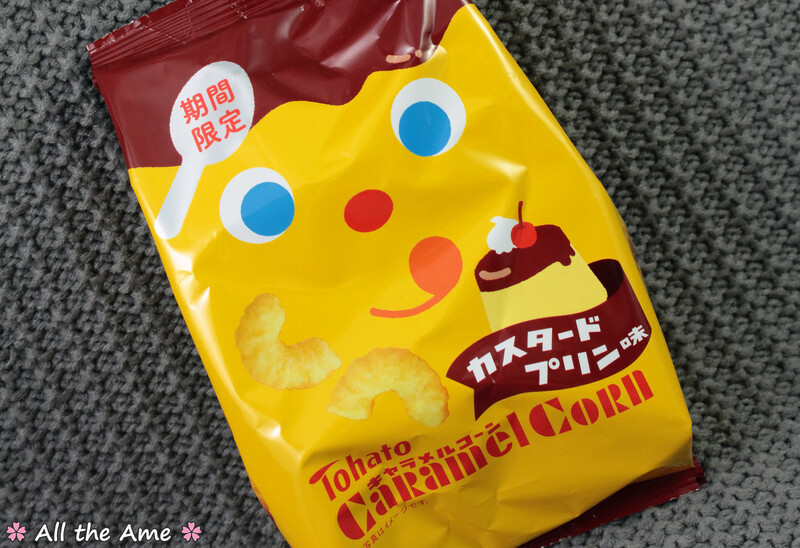 The pudding flavour is great, you can really taste the creamy custard followed by the slightly burnt caramel. 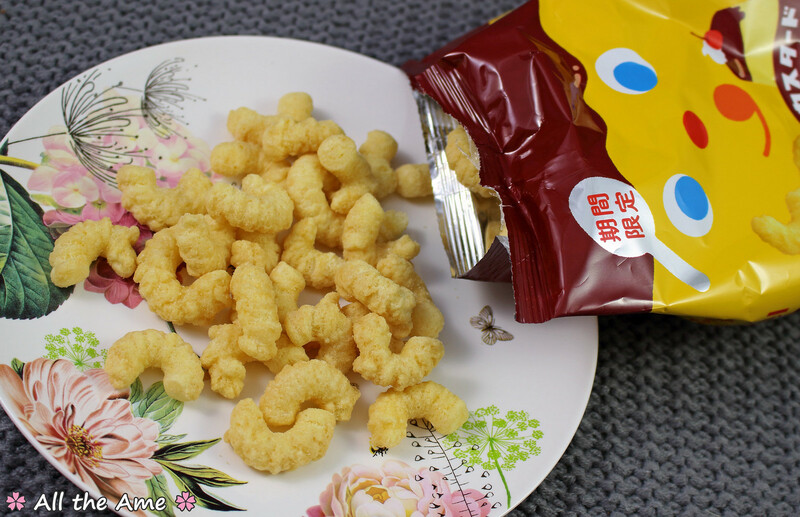 As always the corn puffs are light and airy with a generous crunchy coating on each one. Crunchy custard pudding, delicious! 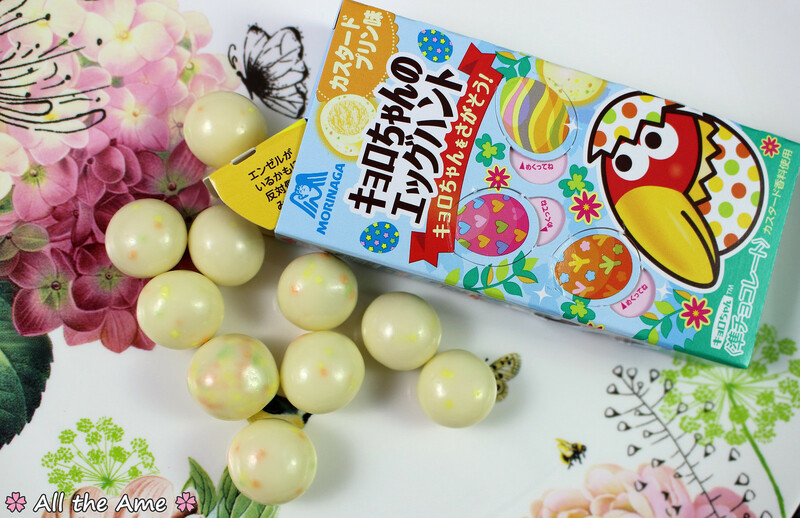 This is an Easter edition of Choco Ball in a custard pudding flavour. Yay, more pudding! 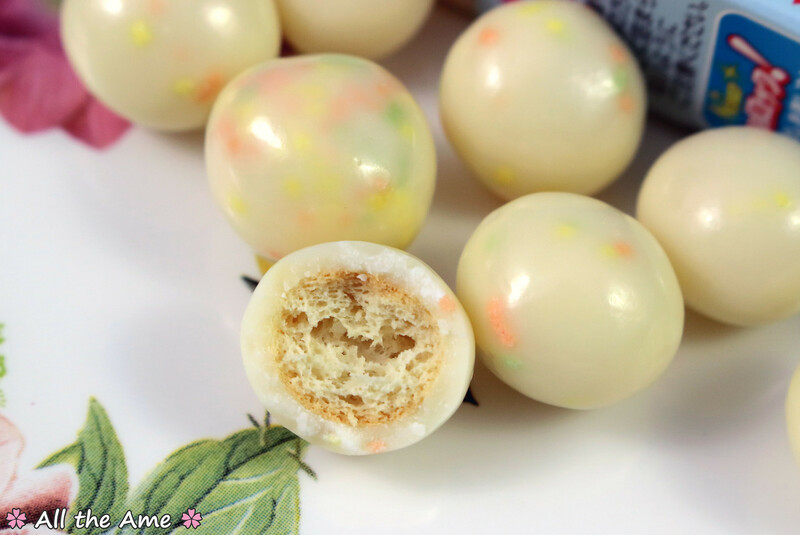 Choco Ball comes with a variety of fillings, these ones have a crisp biscuit inside. 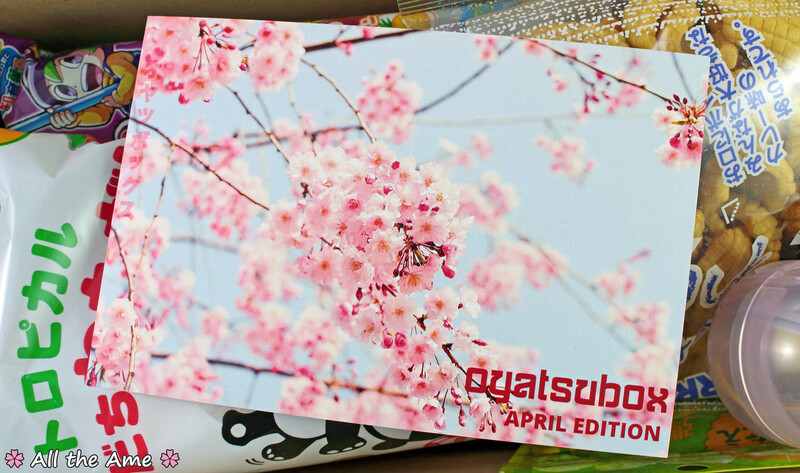 Look how thick the coating is on them! It didn’t show up too well in my photos but the chocolate has a lovely pearlescent sheen to it as well as the colourful speckles, it really is very pretty. The sweet custard flavour is just perfect too and goes so well with the biscuit. Delicious! Another 10/10, these have more of a sweet custard flavour than the Caramel Corn but they’ve still captured the pudding flavour really well. 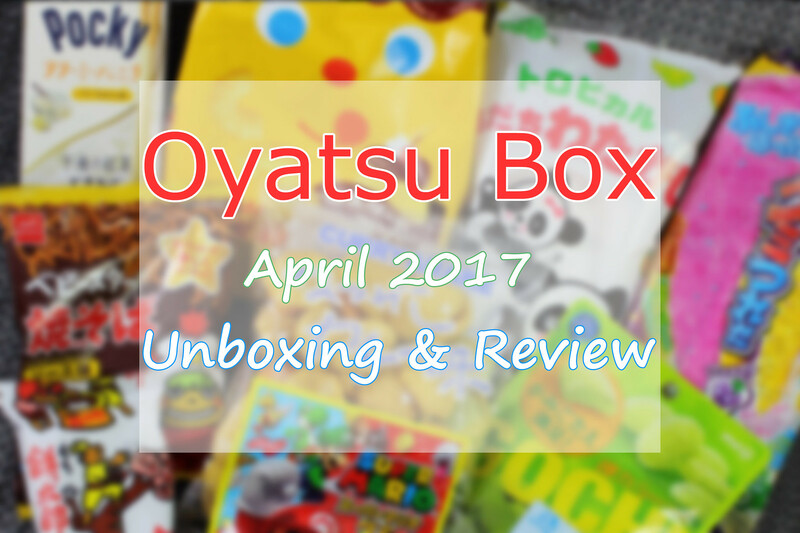 The packaging is super fun and the chocolates inside are just as pretty, such a fun and colourful snack! 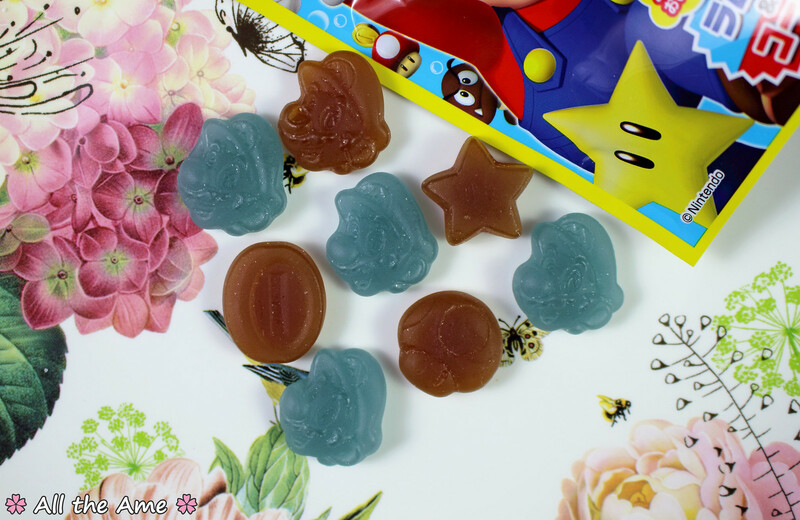 The gummies are fairly large, especially when you realise how tough and chewy they are! The kiwi flavour is amazing, it’s so realistic. It’s even got the slight tartness and mouth drying sensation of a real kiwi fruit thanks to the tart sugar coating. 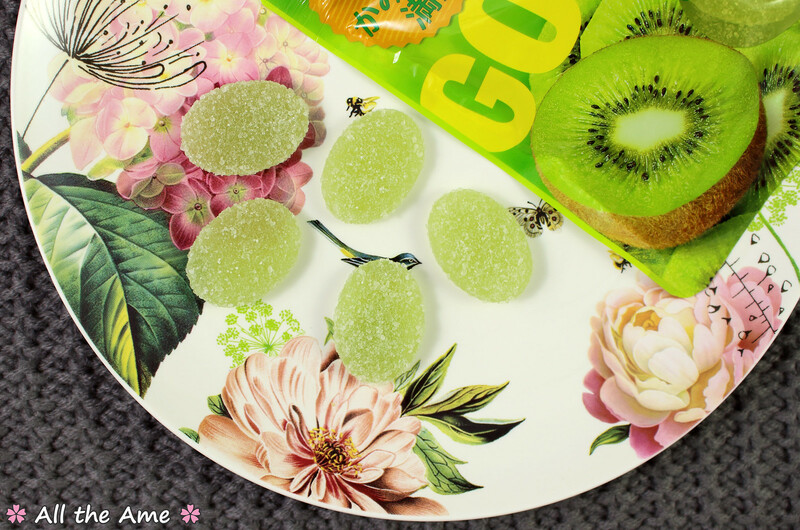 If you’ve ever eaten a kiwi and wished for more texture, these gummies are for you! 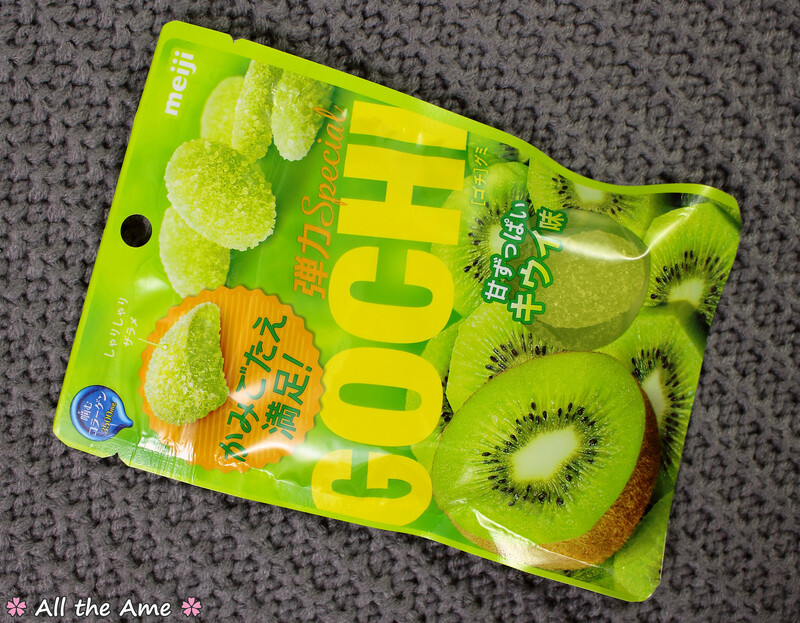 The cola and soda flavours are both great, a lot milder in flavour than the powerful Gochi Gummies. I enjoyed both the cola and the soda, but I’m sure you can guess which one was my favourite! Ah…the joy of failure. I had a little trouble with the DIY kit this month (when don’t I?) but it was fun. Well, more like it was funny how badly it went, but laughter ensued in any case! 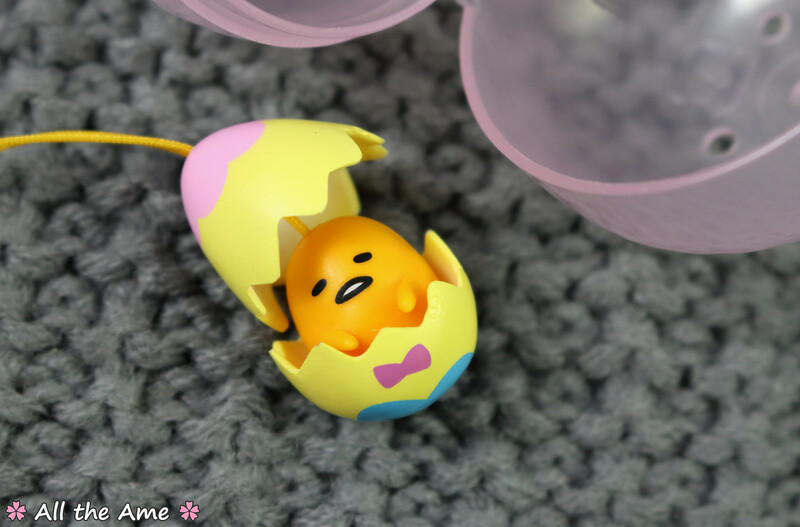 Aaand…this is where it all went wrong for me. 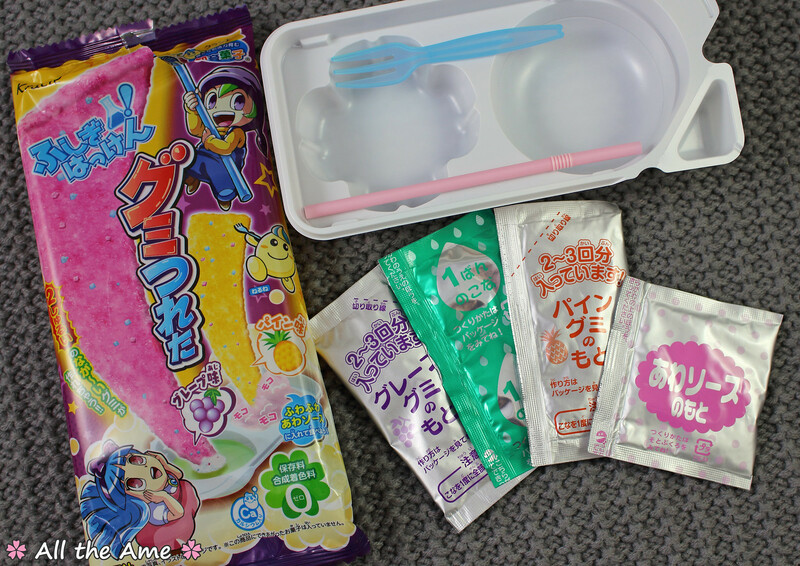 At this point you’re supposed to pull the straw up through the powder and watch as the gummy strand forms, dangling from the straw like some sort of magical fruit. Naturally 9 times out of 10 mine did not do this, or at least not for more than a couple of seconds before it slopped unceremoniously off the end of the straw. This was hilarious but pretty tricky, I could see people getting frustrated with this part. It’s really cool when it works! 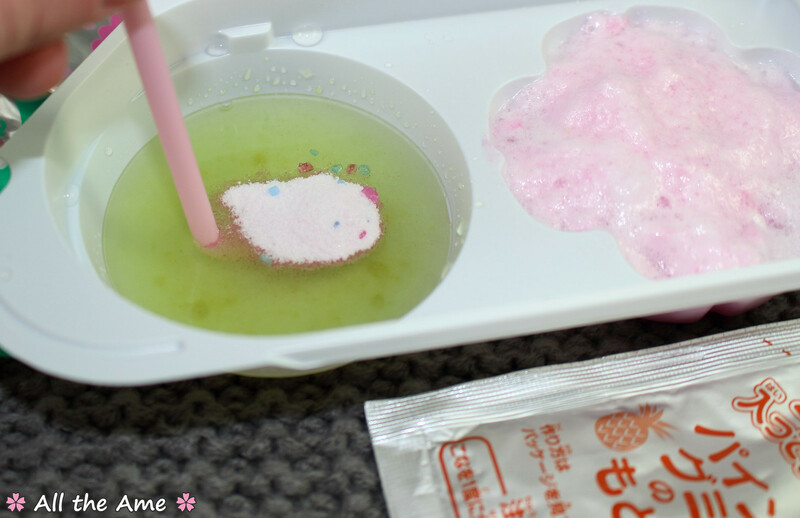 Strange is a good word to describe eating this DIY kit. 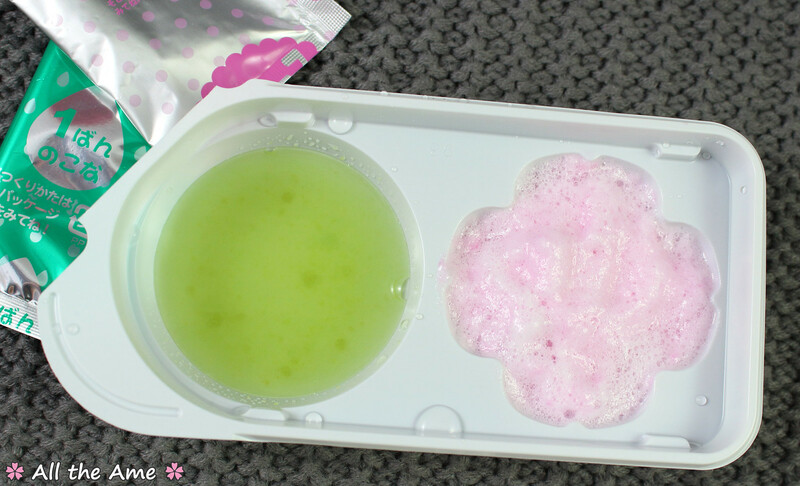 The gummies are pretty watery in texture and although they do firm up more if you leave them sitting, they still taste watery. Dipping them in the foam is a very good way of adding flavour to them as the foam is a strong and deliciously sweet grape flavour. 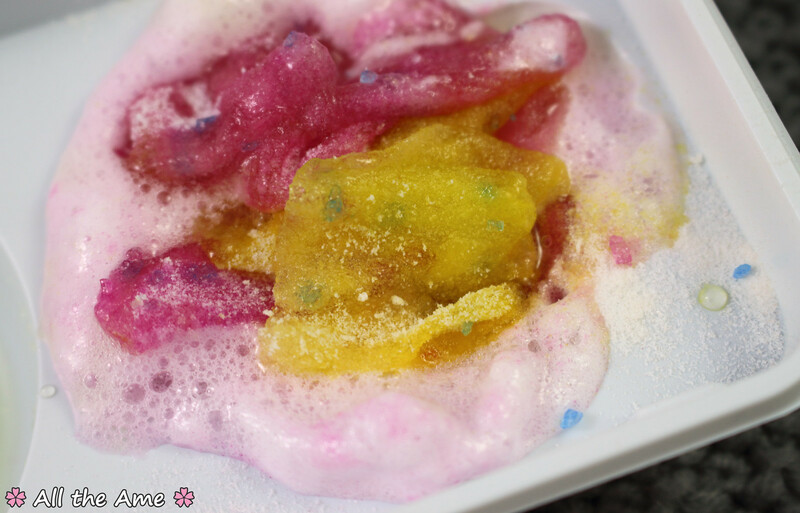 The foam coats the gummy strands to give a fizzy sensation too, which is pretty cool. Still, you’re eating a strange and largely flavourless gummy that seems to be made of lumpy water, contains crunchy sugar crystals and is covered in fizzing foam. This isn’t going to be everyones cup of tea! 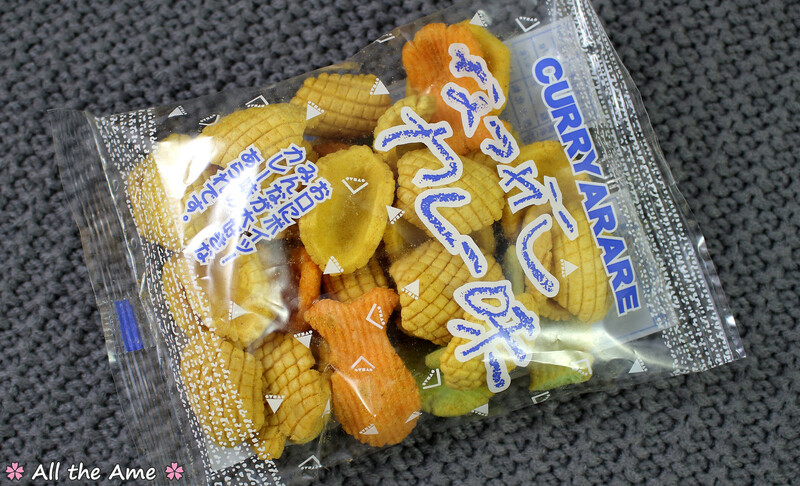 A more traditional snack now, these are curry flavour rice crackers in fun and colourful shapes. 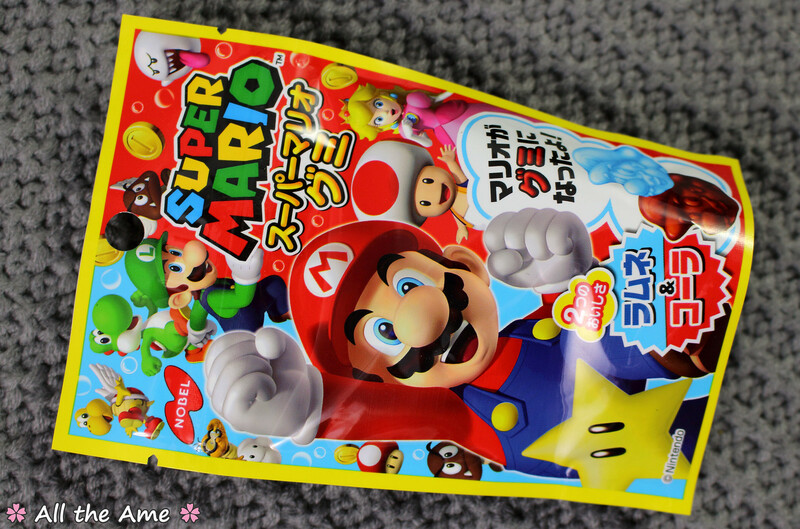 Apparently these have been sold for decades in Japan, which is understandable once you try them! 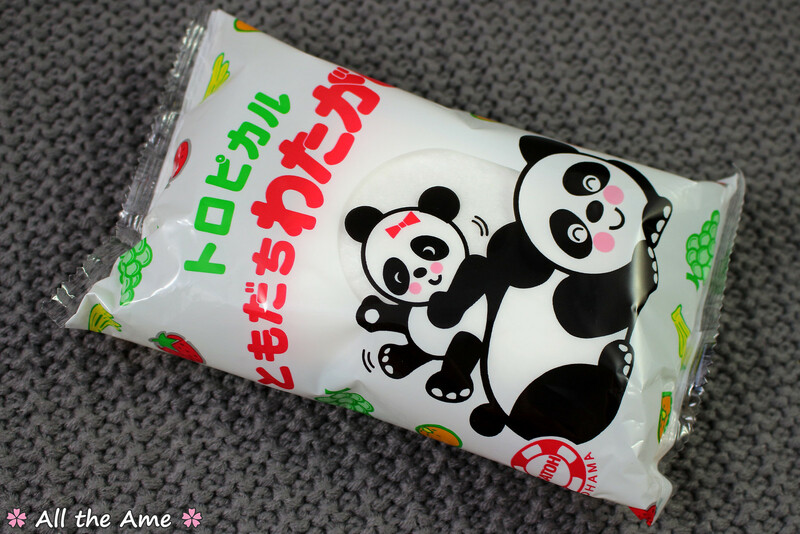 These are certainly one of the most interesting looking rice crackers I’ve tried! 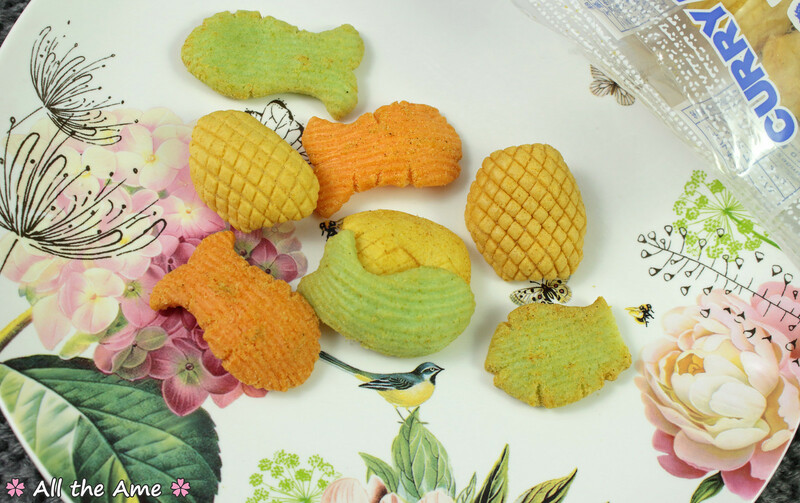 My favourite is the little green fish, they all taste the same it’s just such a pretty colour. The curry flavour is lovely, quite mild and a little sweet with a nice spicy kick. It’s a bit like the curry sauce you’d get from a chip shop here in the UK. The texture is wonderfully light and crunchy. All in all these are delicious! I’m so happy to see these again! 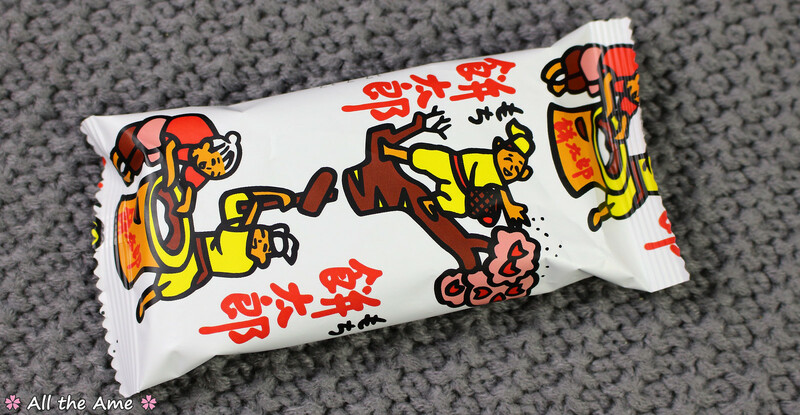 This is a bag of dried ramen noodles coated with sweet yaki soba sauce. 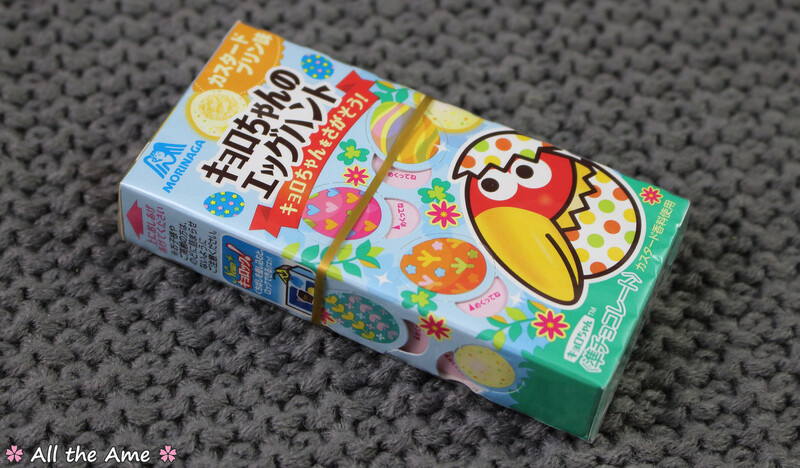 The first time I had these (was it Oyatsu Box or someone else? I don’t remember!) 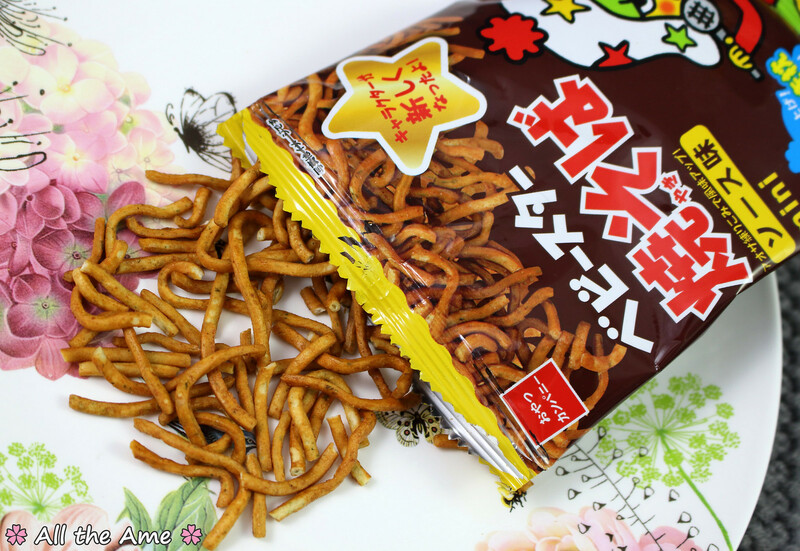 I was a bit hesitant about eating dried noodles but they actually make for a great snack. 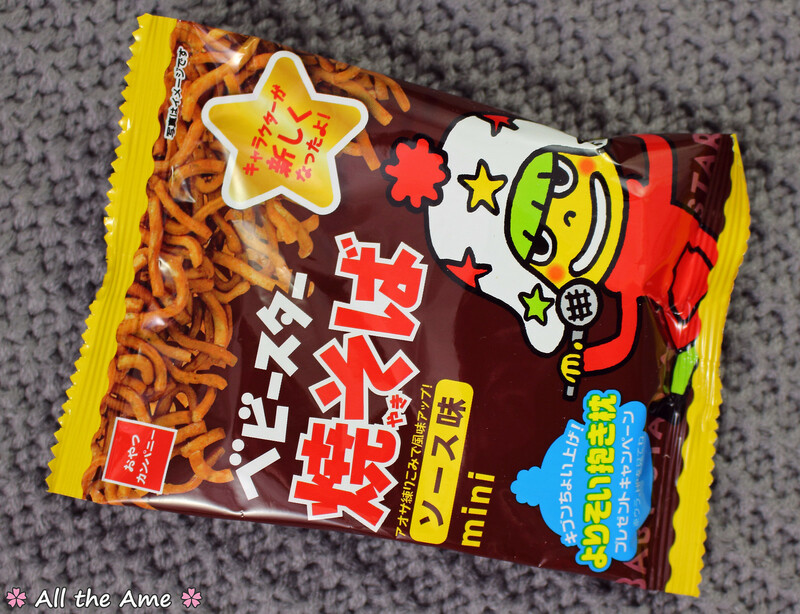 I have tried and failed to describe what yaki soba sauce tastes like in the past so I’ll just say that it’s sweet and savoury, often compared to Worcester sauce and if you’ve tried it before, you’ll find that this snack tastes just like it. There are so many little noodle pieces in these bags, they keep me munching for ages. A very convenient way to eat yaki soba on the go too! These get 10/10 from me, great for when you want a savoury snack that’s a little different. 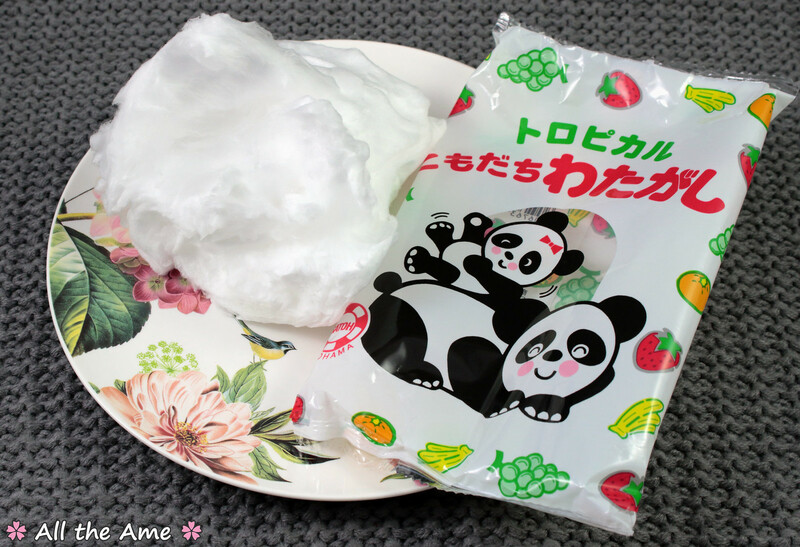 Japanese candy floss tends to have a tougher texture than the stuff in the UK, it comes as a layered block that you can peel apart or fluff up and enjoy. The tropical flavour is a generic but tasty fruit flavour, a nice change from regular strawberry or plain old sugar flavoured cotton candy. 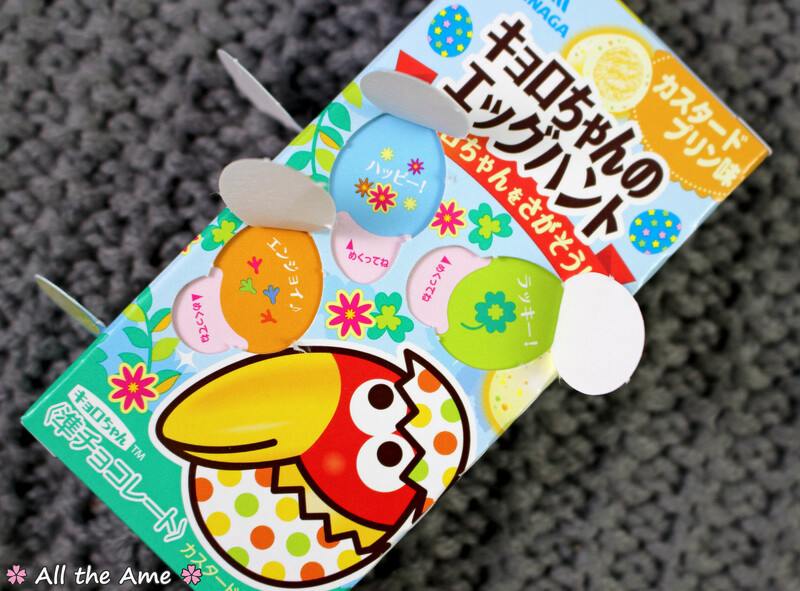 I love the cute packaging too! 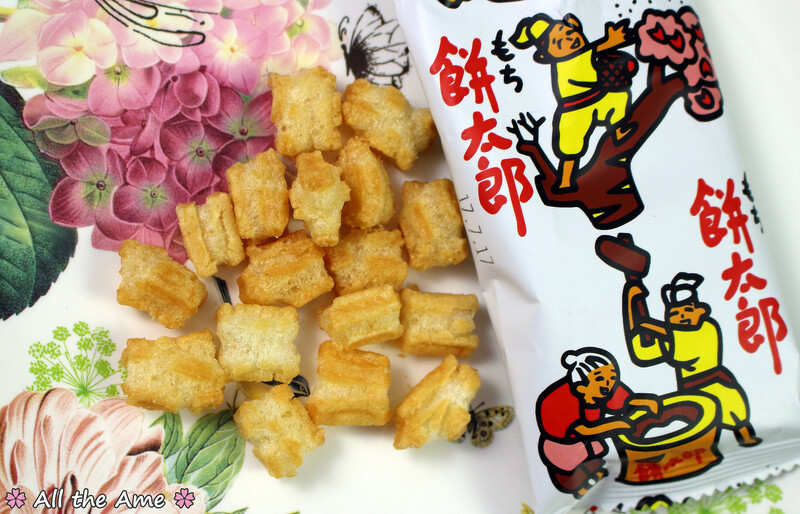 These rice crackers are SO crunchy, far more crunchy than the curry ones. They taste very salty, I wasn’t expecting something so small to have so much flavour! I’d give these a 9/10. They’re just a little too salty for my taste but the super crunchy texture is great.